WARNING! 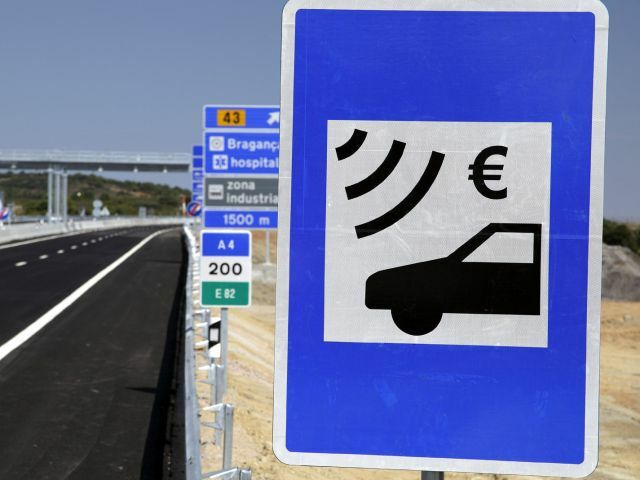 Portugal roads have electronic tolls without human intervention and WITHOUT the possibility to pay it as you go. Yes, it works like that and if you do not pay accordingly (in advance) you will get fined. Once purchased, cards need to be activated it by sending a text message including a code on the card and the license plate of the vehicle so that it can be associated. The cards last for one year or until the balance is exhausted, which you can check online. Do you have remaining credit on your card? It can also be refunded within 6 months, but only if a credit card was used for the payment. This is the easiest option for foreign visitors, especially those driving from Spain. It can be purchased at an Easy Toll Welcome Point without having to leave the vehicle, and it associates a credit card (Mastercard, Visa or Maestro) to the vehicle’s license plate. There is sign up cost of 0.74 € and each journey has an administrative cost of 0.32 €. !!) Because the credit card is linked to the vehicle, the membership needs to be cancelled, otherwise, the same credit card can be charged in the case of a new customer renting the same vehicle. !!) You are not allowed to use Via Verde lanes with options 1 (Toll Card), 2 (Toll Service) nor 3 (Easy Toll), unless you have a special device called transponder (see option 4). Aimed at longer stays or frequent visitors, you can rent a temporary transponder device for €6 for the first week then €1.50 per week plus a refundable deposit of €27.50. You have to register a credit card with the system and tolls are automatically debited from the card. It is valid for a maximum of 90 days and can be used on electronic toll roads. Local vehicles can either use a transponder (option 4) or pay after using the toll road. The latter seems to be the best and easiest, but it is not. This is because you cannot pay for using a toll road any sooner than 2 days after your journey, but you must also pay within 5 days. Besides you need to pay at a post office or a Payshop, as there is no online option. Some car hire companies decided to fit all their cars with transponders, such as Europcar. However; it is not always the case so you should ask and make the appropriate arrangements with them. This is too complicated… What shall I do? Are you flying in? ==> Ask the agency for a Via Verde device! Are you driving from Spain? ==> Go for an Easy Toll, but plan it in advance! For more information, including an up to date list of tolls locations and rates, visit the official website. Last but not least, if you are travelling to Portugal you can check our post about Porto, Lisbon and Duoro Valley. 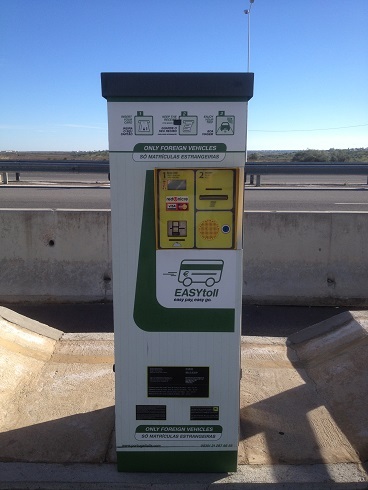 I did not know about the Electronic tolls on the A25 Portugal, until we were on the road. We did not know how to pay. We thought it would become clear by the before we left Portugal, sadly it was not. Immediately returning home I went on line to pay…..not possible ! I have sent messages, I have phoned. I have received two emails back telling what to do. Nothing works. Why have they made it so very difficult for people to pay. Also my concern when going to the web site. It is not secure. No way am I giving my credit card details to an unsecured internet site. I have wasted a lot of time trying to pay this toll. Why make it so very hard!!!! I can confirm your frustration. I specifically asked when collecting my hire car about electronic only tolls, and was assured that the route I planned to take had a ticket toll-gate available. The advice from Guerin/Enterprise was completely inaccurate, and like yourself, it’s almost impossible to pay these tolls. The system needs urgent re-evaluation since it most certainly does not meet all requirements. I suspect it’s just another money generating ploy or a system implemented without enough thought! Hi ! We were in Portugal in June 2018 and entered Spain from the A22. Immediately upon entering we saw the signs for Easy Toll and since I had read up that Easytoll was the best way to handle the highways with no manual tolls we proceeded to one Easytoll machine. To our frustration the machine refused to accept any of my International Cards (Amex, Master, Visa – None). We spoke to a customer care lady at the EasyToll station who advised driving along and buying a Toll Card from a nearby Gas Station. I am so happy I did not take her advice as I was unable to locate the Gas Station she mentione. The only thing to watch out is that you mention your car registration number properly. The toll gets deducted after 48 hours (not immediately) so dont worry if you have driven on the highway and the toll card still shows full balance. i’ve just fallen foul of these roads, and whoever thought of them needs to be taken outside and shot. i entered spain via braganca and drove to porto, at various points i paid “ordinary” motorway tolls at the booths and thought no problem. along the route i saw the sign “electronic toll”, and thought it was simply an advice to pass through the automatic lanes when you arrived at the payment barriers, where the barrier lifted on approach instead of having to queue. why do the portuguese deem it necessary to have such a complicated system? whats wrong with the booths, take a ticket, pay the other end ? it seems as though they thought “if it ain’t broke, break it until it is”. to compound matters none of the portuguese motorway booths would accept any foreign bank cards or credit cards. all foreign plated cars were having to pay in cash, thus we were joining queues of french & spanish plated cards all frantically trying to assemble enough cash to pass through. the politest description would be an utter shambles.